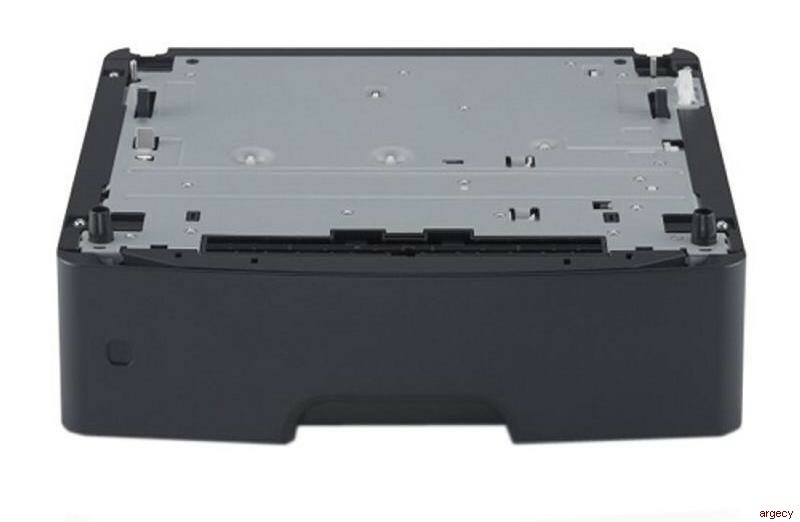 Looking for Dell B3465 Parts? Your versatile office solutions partner. 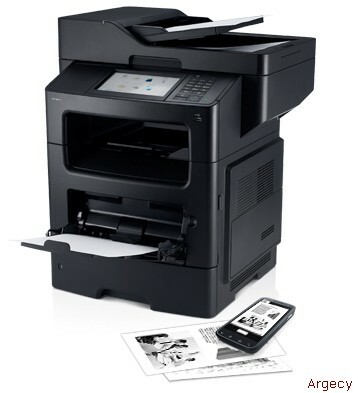 Bring productivity to your business with a high-performance multifunction printer offering fast speeds, network capability and document management. Print or copy at speeds of up to 50 pages per minute (ppm) (letter) or 47 ppm (A4) with a first-print-out time (FPOT) as fast as 6.5 seconds. 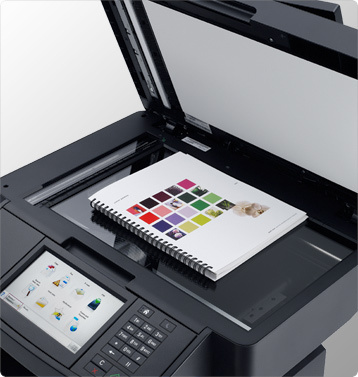 Boost productivity with intuitive 7 inch color touchscreen and built-in Duplex Automatic Document Feeder (DADF). 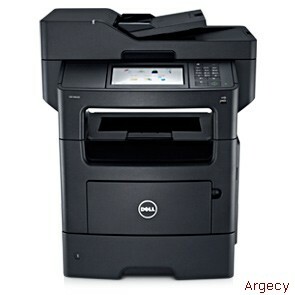 Scan, print, copy or fax with the speed, control and dependable performance of the Dell B3465dnf multifunction printer. Gigabit Ethernet connectivity and the optional External Wireless Adapter help maximize data transmission speeds across your network. A powerful 800MHz dual-core processor and 1GB of onboard memory enable fast data processing. Save time and paper with automatic two-sided printing and increase efficiency with built-in Duplex Automatic Document Feeder (DADF) for fast two-sided scanning and copying. In addition to a 150,000-page maximum monthly duty cycle, the B3465dnf offers a low cost per page with the optional Extra High Capacity 20,000-page toner cartridge. The Dell B3465dnf multifunction printer comes with a full menu of features and functions designed to help simplify document storage and sharing. Scan and save your documents directly to email or to one of 30 folder destinations. Card Copy allows you to scan and print both sides of a card on a single page, saving paper and conveniently displaying information. Quickly access and print frequently used forms stored on your network, FTP or website using the Forms and Favorites feature. Create up to 25 copy, fax and email shortcuts that are quickly accessible through the control panel. Increase your input paper capacity with the optional 550-sheet input paper tray (up to a total paper capacity of 2,300 sheets with 3 optional trays). The optional Staple Finisher offers convenient inhouse stapling of print-outs. 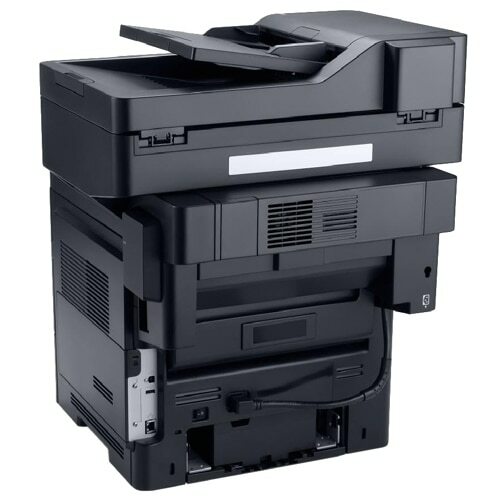 The Dell B3465dnf multifunction printer features a user-friendly design and smart applications that can help you effectively reduce downtime. An adjustable 7" color LCD touchscreen and 17-button keypad enable simple navigation. Web-based remote management with the Dell Printer Configurator Web Tool allows you to modify settings, view printer status, release held print jobs, create bookmarks and perform other print-related tasks remotely. Protect your network and valuable data with robust security features. Confidential Print: Send sensitive documents to the print queue, where they're held until a PIN is entered for secure printing and pickup. Network data security: SNMPv3 and IPV6 protocols with IPsec encrypt data while the optional wireless card supports 802.1x wireless security. 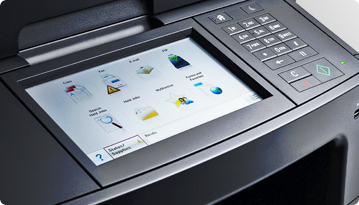 Access control: Enable and disable printer functions and allow remote access via security templates. 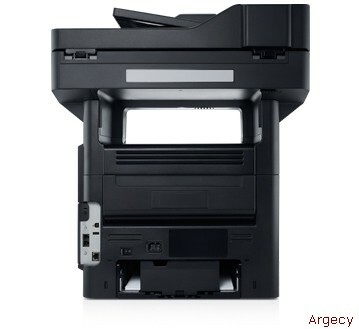 Physical security: Physically secure the printer via a Kensington lock. You can also use the optional lockable paper tray to protect costly or sensitive media, such as company letterhead (lock, cable and optional tray sold separately). Your new printer comes with a 1-year Limited Hardware Warranty and 1-year Next-Business-Day Onsite Service after Remote Diagnosis. You're also covered with 24x7 online/phone technical support during your standard service and Limited Hardware Warranty periods. Protect your investment even longer with an optional Limited Hardware Warranty extension of up to 5 years. And you can choose to simplify your printer environment with Dell ProSupport services, featuring options such as specialized technical support and expert onsite diagnosis.